Summary: In A Game of Thrones, George R.R. Martin has created a genuine masterpiece, bringing together the best the genre has to offer. Mystery, intrigue, romance, and adventure fill the pages of the first volume in an epic series sure to delight fantasy fans everywhere. If you are looking for a typical fantasy novel with wizards, magical weapons, elves and orcs, this is most definitely not the book for you. A Game of Thrones is set in the Seven Kingdoms long after a time when magic was much more pronounced. While some traditional fantasy elements are hinted at they are only periphery to the story. The story itself is a story of intrigue, betrayal and honor. This is the story of power (the struggle to get it, keep it or reclaim it). The story line is excellent but a bit busy. There are many different story arcs going at once and while some resolution is seen at the end of this book, it is a series so there is much left unsaid and undone. The characters are well fleshed out and you are given just enough backstory to help their development but not so much that it bores you. The backstory is well woven into the ongoing saga so you don’t feel like “Oh no not another flashback” like in some stories. My favorite character is Arya, the tomboy daughter of Lord Eddard Stark of Winterfell, the story’s protagonist. She hates doing the “girlish” things expected of her like needle-work and learning the manners associated with being highbred. She wants to learn to fight and ride. She brings light-hearted, childish fun and humor to what is otherwise a very serious story. I also like Tyrion Lannister, “the Imp”. He is the Queen’s brother and has most of the best lines of dialogue. Overall I really liked this book. I found it to be an intriguing tale that kept me wanting until the end and still left me wanting more. I am excited about continuing the series as soon as I can. 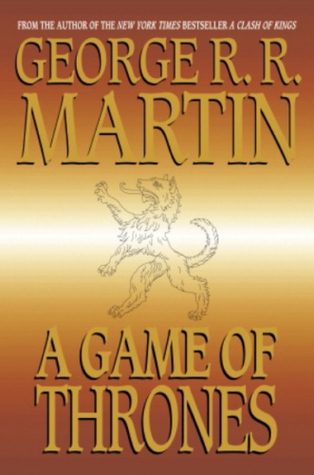 I know that this book was first published in 1996, but I thought with the series now debuting on HBO there might be a renewed interest in these books. Oh my gosh, I got this for Easter and I'm so excited - I'm just over halfway through and I love it. I'm glad I'm not the only one just reading this! Hello! My name is Angie and I found you through the group I moderate for, the YA Book Club on goodreads. I finally started a blog so I am going through the blog thread we have set up and found you there! I love love Game of Thrones and the series on HBO is FABULOUS!!! 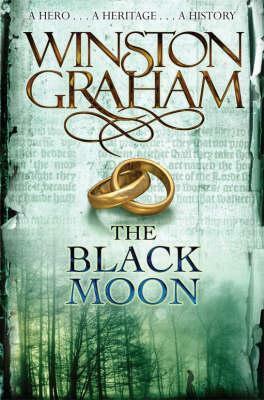 I will say though I am going to wait to read books 4 &5 till the whole series is finished. I can't take the suspense. Scott Nicholson blog tour and giveaway!